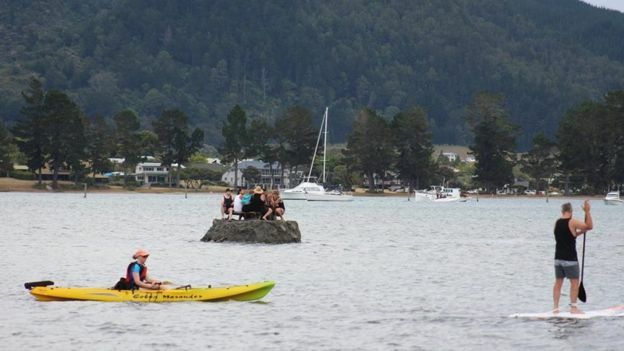 Kiwis will do anything to drink at the beach, it seems. 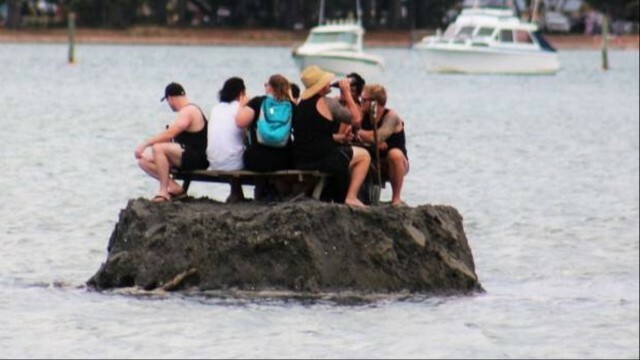 This group of New Year's Eve revellers got busy at low tide on Sunday and spent the early afternoon building a sandcastle in the middle of the Tairua estuary, a holidaymaker, who asked not to be named, said. A Coromandel-wide liquor ban is in place over the New Year period, which means no alcohol in public places, including beaches. Once the crew's creation was complete, they installed a wooden picnic table and chilly bin. The photo was posted on the Tairua ChitChat! Facebook page and punters were keen to pile on. Upon building their sandy fort, members of the group were reported to have said the liquor ban didn't apply to them as they were "in international waters". The holidaymaker said the group was seen drinking into the night, watching the fireworks from the relative safety of their picnic table. Thames-Coromandel Mayor Sandra Goudie drew parallels with the iconic Coromandel rebels that started Radio Hauraki. "That's the one thing I absolutely love about the Coromandel: the inventive nature of the people. It's about creativity, the legal reality is somewhat different." Waikato eastern area commander Inspector John Kelly said police weren't aware of the novel attempt to circumvent the liquor ban. "That's creative thinking - if I had known that I probably would have joined them." The sandcastle was still visible and intact on Monday morning. Police were enforcing the liquor ban across all Coromandel beaches but they had a strong presence in Whangamatā over the weekend. Under the Local Government Act, police enforcing a liquor ban are able to search vehicles without notice, provided there is at least one clearly marked sign indicating the ban. If no liquor ban signage is present, police must first provide an opportunity for a person to remove their vehicle from the area.